That’s how champion horseman Vic Frost referred to the barrier draw for tomorrow night’s Qbred Breeders’ Classic at Albion Park. Frost is set to contest the two-year-old fillies’ division with promising youngster Frost En Ice. Boasting two wins and two placings – including a gutsy third against the ‘boys’ last week – Frost En Ice is the early favourite at $2.30 with TAB Fixed Odds. Although he is positive the daughter of Hurrikaner Kingcole can capture the feature, Frost believes the draw has opened the race to Frost En Ice’s rivals. Frost En Ice will begin from the outside of the front row, with her main danger, Mirabai, to come from gate three. “The wide draw will square them up a bit,” Frost said. “It’s a good leveller. “It’s not the best draw, but she is good enough to overcome it with the right run. 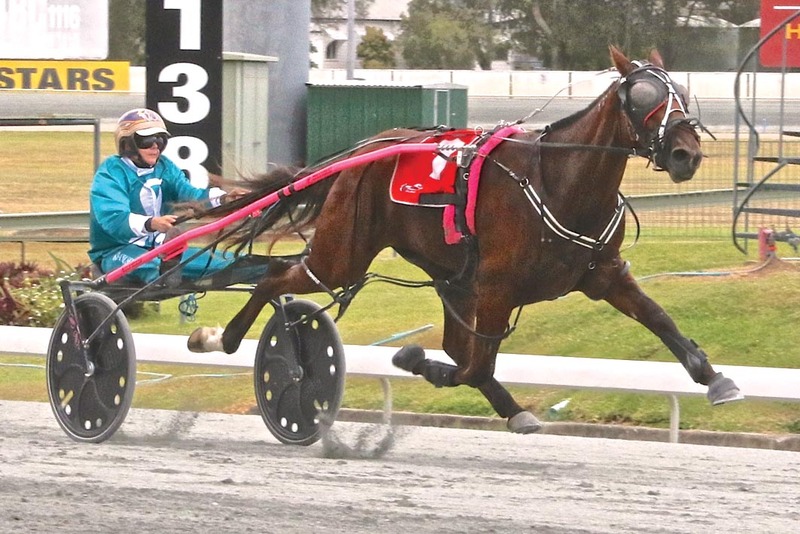 “She was a little fresh last week and went well when she raced outside the colt and will strip fitter this time around. To be sent for a spell following her pending engagement, Frost En Ice will then be primed for the Qbred Triad series later in the season. “She will have a break after this,” Frost said. “She has been up for a while, having first trialled in January. “I’m pleased with the great job she has done and hopefully she can head to the paddock on a winning note.